Introduction: Elite Series pro, John Crews came, seemingly out of nowhere back in 2012 with his soft plastic bait company, Missile Baits. 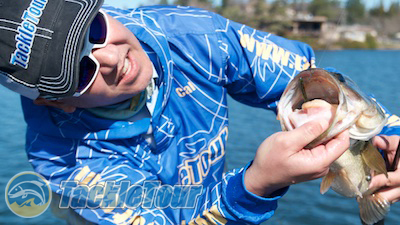 To this day, one of our favorite baits to flip and pitch is their D-Bomb. 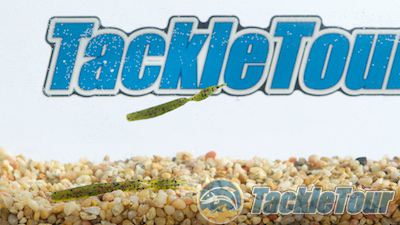 When it comes time to pull them out of heavy cover, this bait has really come through for us time and time again. But now, to cover the other end of the soft plastic spectrum - finesse baits, Crews has a different craw style bait with a much smaller profile. 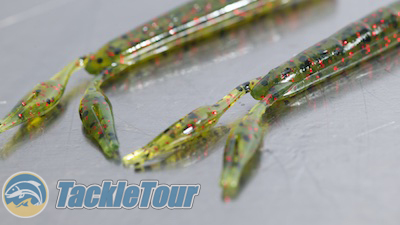 Here now is our look at Missile Bait Company's Drop Craw. 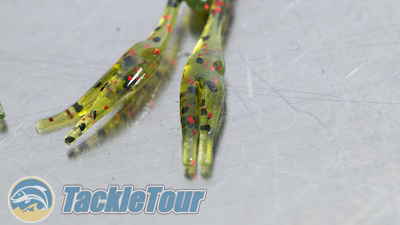 Introducing Missile Bait's Drop Craw. 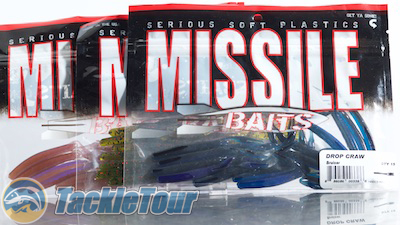 Impressions: Missile Bait's Drop Craw is a diminutive little bait measuring three inches (3") in length but really feels as if it's more like 2". It has a somewhat nondescript main body capped with two, tiny appendages that are actually claws. You have to look closely to see, but there is an actual split of the plastic at the end of each appendage. Just tip the bait on your drop shot hook of choice and off you go! 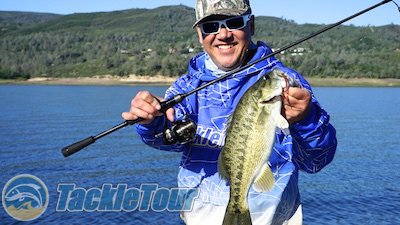 Performance: Despite what the big bait fisherman may have you believe, finesse tactics are alive and well in California and I for one was really excited to see this new finesse offering from Missile Baits in the drop shot section of TackleWarehouse's soft baits section on their website. The Drop Craw is a 3" bait but really feels much smaller than that. At the end of each bait are two claws. It doesn't get too complicated as the only method in which I fished this bait was at the end of a drop shot rig tipped on either a #2 sized Gamakatsu Aaron Martens TGW Drop Shot Hook or Owner's Mosquito Hook. Rigging is pretty straight forward as you just pierce the plastic of the Drop Craw on what would be the tail side and let the bait hang. Yes, they really are claws! The really nice thing about Missile Bait's Drop Craw is because it is so compact, there are no worries of the other end of the bait curling around and fouling your hook. Additionally, the bait doesn't swing and fly of the end of the hook very often while you're fighting a fish, so instances where you lose your bait are minimal. 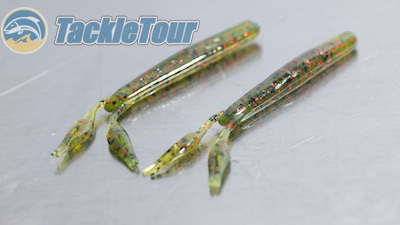 The Drop Craw sits in the water with a good, neutral buoyancy. Design/Ergonomics: The Drop Craw, like all other Missile Bait's soft plastics come in a re-sealable plastic bag. 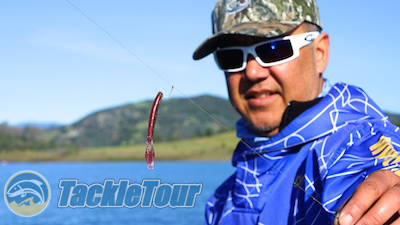 Each package contains fifteen baits, so you get your money's worth from each package. There are eight different colors and really, the single, most important color while drop shotting - pinkalicious (aka Morning Dawn). And oh yeah, it catches fish! Price & Applications: Each Drop Craw package from Missile Baits retails for $3.99 which equates to twenty seven cents ($0.27) a bait - a relative bargain by today's standards. The only downside is this bait is pretty specialized. I suppose you can try using it on a trailer of some super small, finesse, ball head jigs but we only tested it in drop shot applications. A nice little spotted bass. Always on the search for effective baits with which to change things up, the Missile Craw has become this Editor's Choice. Conclusion: When fishing lakes where all the fish have seen just about every type of drop shot worm you can imagine, finding a bait like Missile Bait's Drop Craw is a great change of pace from the monotony of fishing four and six inch straight tail worms or three inch shad imitating baits that look more like a blob of plastic than a shad. What's even more refreshing is if that change of pace bait actually works. 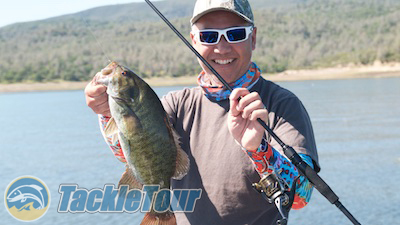 If finesse fishing is your game, the Drop Craw is definitely a bait you need to add to your roster. Looking for Missile Baits Drop Craw?